This is a very colorful and satisfying main meal that will keep you energized for hours. Toss kale with about 1/4 cup – 1/3 cup of dressing and mound (1/2 each) in center of 2 large plates. Evenly distribute veggies around the mound of Kale Salad in smaller mounds like numbers on a clock. 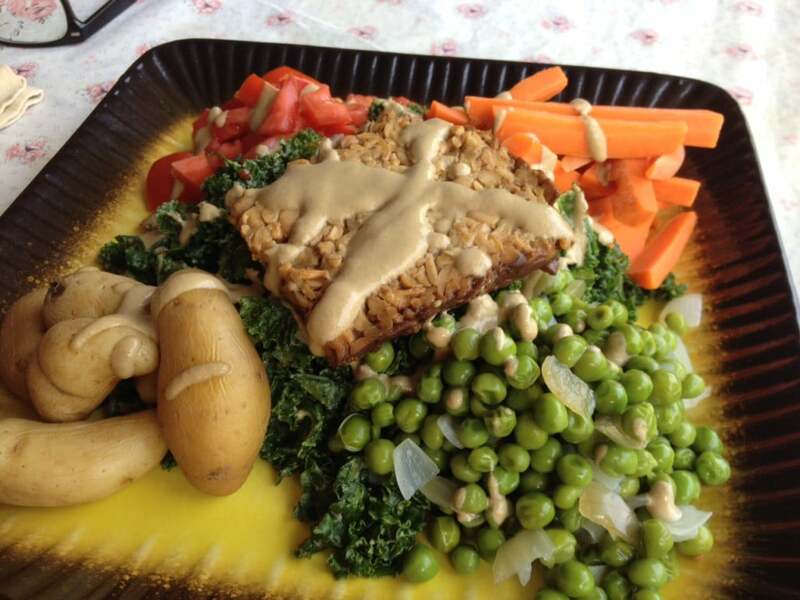 Place equal sized portions of tempeh on top of each mound of kale salad. Drizzle all with remaining dressing. Four (4) smaller first course salads can be made with 1/4 each of the above ingredients.